Humans aren’t the only creatures who travel. Here are 10 of the animal kingdom’s greatest migrations by land, air, and sea that you can watch for yourself. THESE MIGRATORY ROUTES and patterns have developed over thousands to millions of years, and there’s something primal and humbling about being able to see nature on the move, since each migration is a part of a larger cycle of life. What’s more, bearing witness to these migrations may literally be a once-in-a-lifetime experience, considering many of the routes and species are in danger. The more you know about the species and their habits, where they’re going and why, the more you’ll be able to appreciate the migration spectacle. [Notes: Timeframes provided here are estimates based upon the patterns of consistent animal behavior; since these are wild populations, exact dates can’t be determined. When I was in AP Biology in high school, one of our assignments was to catch monarch butterflies on their way south during their fall migration. We would catch them, tag them, and send them on their way. This seasonal arrival of the monarchs is one that I took for granted; I didn’t realize it was a migration that included millions of butterflies. In the fall, monarchs east of the Rocky Mountains fly to overwintering sites in the Transvolcanic Mountains in Mexico. It is at these roosting sites that the largest and most spectacular population of the butterflies can be seen, with them gathering in peak numbers by mid-November. The best way to see them is to go to a butterfly sanctuary, like Santuario de la Mariposa Monarca El Rosario, accessed from the towns of Angungueo and Ocampo, or Santuario Sierra Chincua near Morelia. They leave these winter roosts around the second week of March. 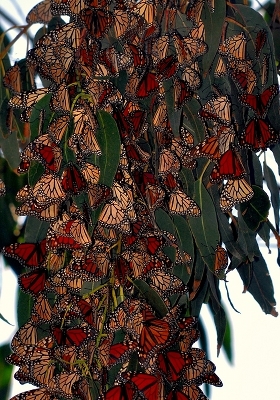 Mid-November and mid-March would be ideal to visit the Mexico sites if you want to see clouds of monarchs in flight. Once they arrive, they’ll sleep, hanging from the trees in clusters heavy enough to bend branches. The hundreds and thousands of monarchs west of the Rockies head to the coast of California and northwestern Mexico in November, sheltering for the winter in stands of trees near the coast. Here are a few spots that provide the best views of this western population: Monarch Butterfly Grove at Pismo State Beach, Monarch Grove Sanctuary, Pacific Grove, and Monarch Butterfly Natural Preserve in Santa Cruz County, which hosts monarch tours and throws a party for the butterflies’ arrival and departure. If you can’t make it to Mexico or California to see the monarchs and you’re east of the Rockies, find your latitude via Google and then peak migration dates to find out when the monarchs will be passing through your area. 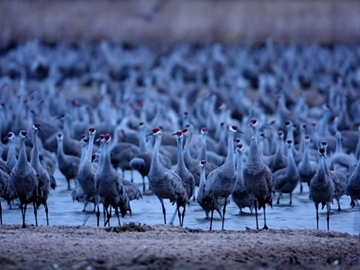 In March, 80% of the world’s ½ million Sandhill Cranes roost along the Platte River in Nebraska, coming from Mexico, Texas, New Mexico, Arizona, and California. The saying is they start showing up by Valentine’s Day, they peak at St. Patrick’s Day, and they’re gone by tax day (April 15). They stay to fatten up for their continued journey north, putting on 2-3 pounds. 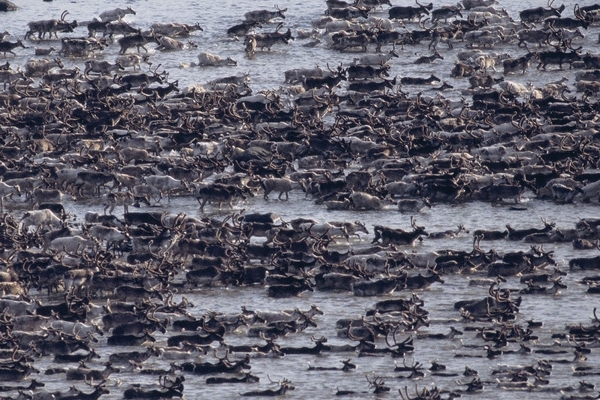 They use the river to roost at night, gathering in groups of hundreds to thousands. Family groups will travel together; the cranes mate for life. Once a warm southerly wind comes through, the cranes will continue north. Some will fly as far as Siberia. Tours are available from the Rowe Sanctuary, between the towns of Kearney and Grand Island. For $25, you are taken out to a blind along the river at sunrise or sunset to watch the cranes. The sight and sound are spectacular. The cranes can also be seen during the day feasting on corn in the fields. They’re best viewed from the road; they are used to humans to some extent, but they’re hunted in many of the states around Nebraska, so don’t try to get too close. The birds come back through for the fall migration, but since they don’t stay more than a night, if that, it’s not as impressive. Israel is an important link between Europe and Africa for migratory birds moving between their breeding sites to overwintering sites. The wetlands, swamps, and lakes throughout the country are spots for feeding. Hundreds of millions of birds will pass through around March and April as they head north, and they come back through the area in fall around October and November on their way south. One of those species is the European White Stork, and the individual migration flocks can number in the tens of thousands. The large birds, 3 to 4 feet tall, rely on thermals — warm wind columns — for saving energy during migration. Some birds are flying between Denmark and South Africa, so energy conservation is key. 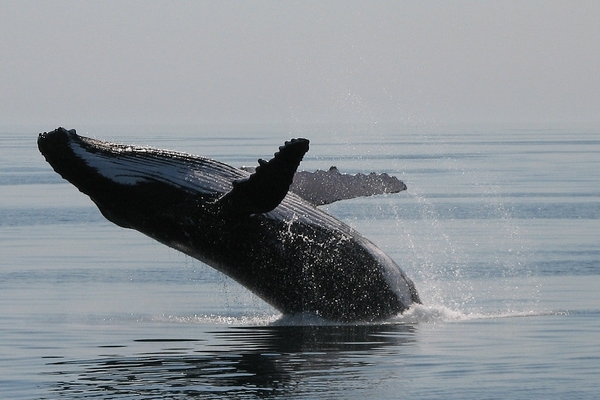 Thermals don’t develop over water, so they avoid flying over the Mediterranean Sea. The migration route splits, with some heading over Turkey and along the eastern side of the Mediterranean, and others crossing the sea at the Straits of Gibraltar. 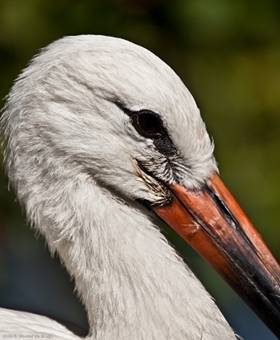 Spots to see the white storks on the move include the bird sanctuary in Eilat. The salt marshes north of Eilat were drained in the 1970s and ’80s for development, destroying habitat. But in 1993, the International Birding and Research Center took a garbage dump and after covering the garbage with 10 feet of clean earth and reintroducing indigenous plants, turned it into a bird sanctuary. There’s now an annual bird festival in Eilat celebrating the spring migrations. In northern Israel, see them at Hula Nature Reserve in the Hula Valley. 15,000 acres of wetland and Lake Hula were drained in the 1950s, which effectively destroyed much of the habitat, with the Hula Nature Reserve consisting of around 865 acres of swampland. After pressure from organizations like the Society for the Protection of Nature in Israel, in the 1990s, 1500 acres were turned into a nature reserve, including the 100-acre Lake Agmon. The park opened for visitors in 2002, and a large covered bridge allows visitors to watch the birds on the water without disturbing them. Other species that come through Israel during migration include grey cranes, white pelicans, great white egrets, and the endangered steppe eagle. Another good spot to see the stork migration includes the Bosporus region in northern Turkey.